NTDC Deputy Director Natalie Kennerley presenting Mr Simon Bradbury, Pro Vice-Chancellor/Dean for Arts, Design and Humanities at DMU with our Partner Affiliate certificate. De Montfort University Leicester has signed up to be a Partner Affiliate of the NTDC. 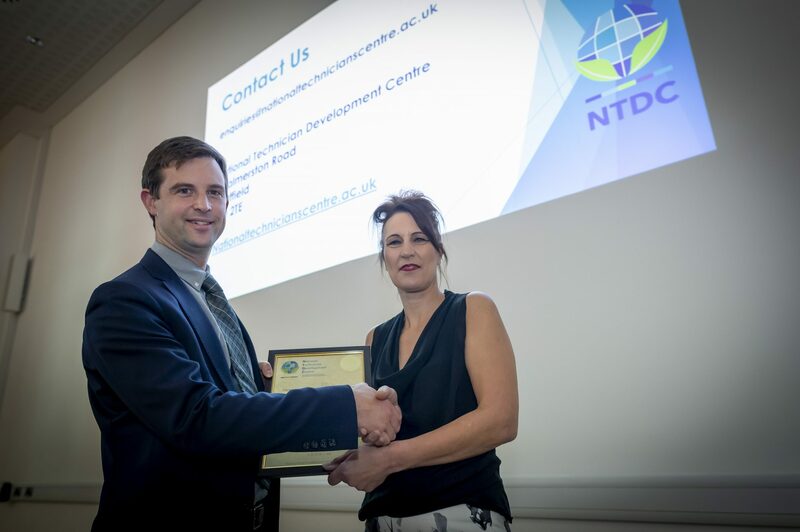 At an event on Thursday the 8th of November, NTDC Deputy Director Natalie Kennerley presented Simon Bradbury, Pro Vice-Chancellor at DMU with their partner certificate (as pictured above). The event celebrated the launch of the Technician Commitment at De Montfort University (DMU) who signed up to the Commitment in April 2018. 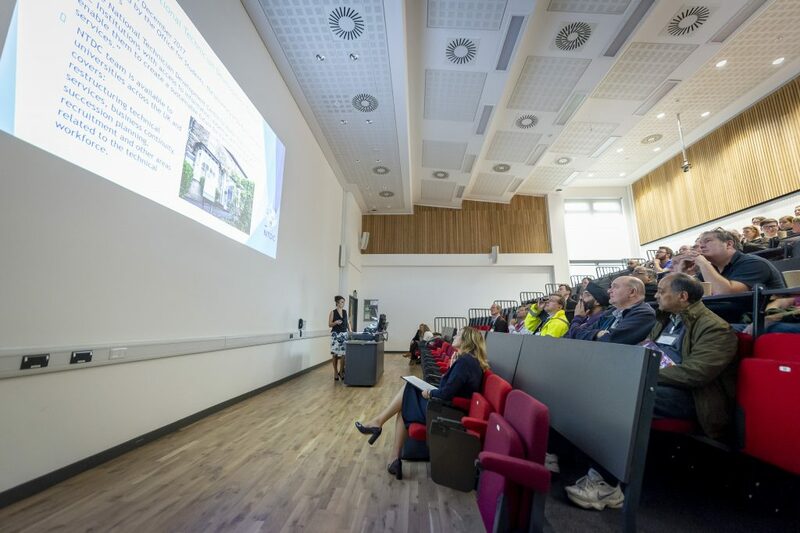 It attracted members of DMUs technical community, who were also invited to participate in a number of informal workshops where they were able to share ideas about how the university can address each of the four themes of the Commitment. Natalie Kennerley, who is also a Technical manager at Manchester Metropolitan University, spoke at the event about the challenges facing technical staff and services at many institutions and how the NTDC and Technician Commitment can help those universities. The DMU launch event was opened and closed by Executive Board members of the University, emphasising the senior support for this important work at DMU. You can hear more from Natalie Kennerley, Dr Simon Oldroyd, Pro Vice-Chancellor and Dean of Health and Life Sciences at DMU, and some of the DMU technical staff in the great video produced by DMU below.